The Event Group Strives to Amaze and Plans to Astound by producing exceptional events and marketing materials. With more than 15 years of experience in working with large corporations, government agencies, start-ups, and academia The Event Group understands accountability and the bottom-line. 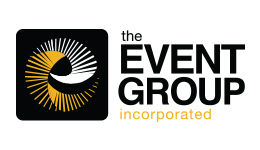 Based in Minneapolis, MN, The Event Group is a full-service event production and marketing agency focused on corporate events, tradeshows, global marketing, website development, and strategic planning. The Event Group provides a fresh, innovative approach, blending its enthusiasm and expertise with your corporate objectives, resulting in strategic ROI executed brilliantly. Contact us for more information on how The Event Group can help you decrease costs, develop your strategic plan, increase attendance for your event, and grow revenue for you.